EG GOLD diatomite paint “BRECEL” is a waterbased natural paint made of diatomite which has about 5,000 times more microporous structures than charcoal. 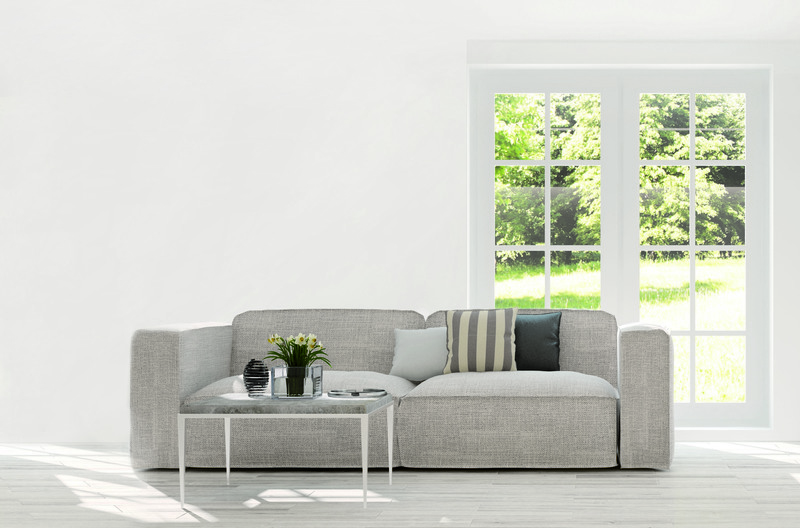 BRECEL provides everything necessary to maintain complete comfort in a closed residential environment, including Deodorizing, Humidity Control, Preventing Condensation, Fireproofing, Antibacterial Activity, Mold Prevention and etc. Diatomite is the sediment of diatoms, a type of vegetable plankton that has accumulated in oceans and lakes over 8 to 10 milion years. 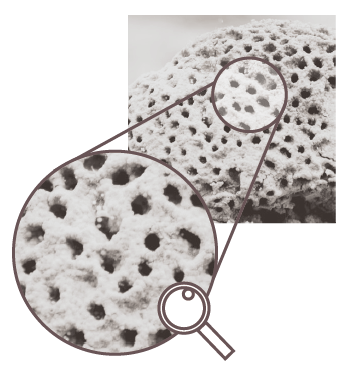 Due to its highly porous structure, 5,000 times more porous than coal, it is light and highly-absorptive. In particular, thanks to excellent insulation features, diatomite is gaining popularity in the U.S. and Japan, being an eco-friendly building material. 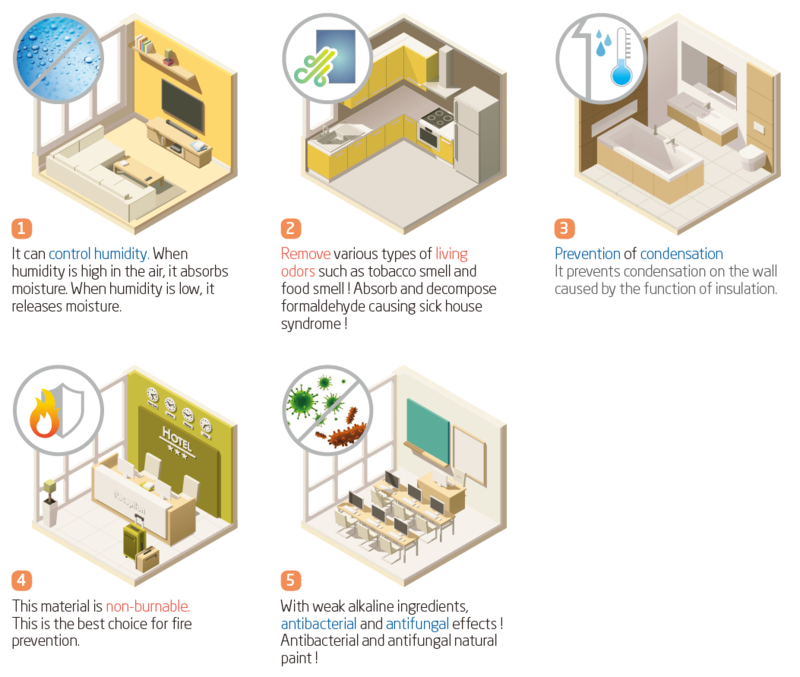 BRECEL is a functional paint that does not only reduce sick house syndrome but also has various functions such as antibacterial & antifungal activities, deodorization, insulation, control of humidity, prevention of condensation, and generation of anions and far-infrared rays. 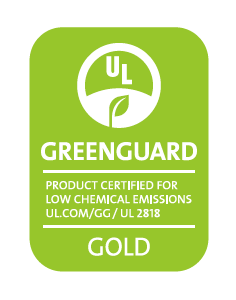 In addition, “BRECEL” is an eco-friendly product that has received the UL Greenguard Gold certification. If you have a plan to move to a new house or change the interiors, the best answer would be a natural ecofriendly diatomite paint, “BRECEL” with which you do not need to worry about sick house syndrome and various types of functionalities are guaranteed. 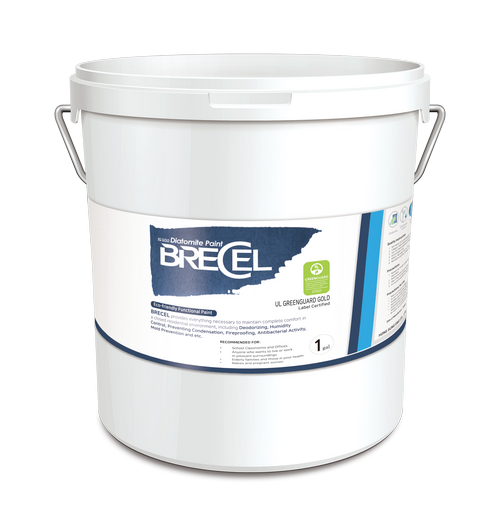 “BRECEL” is an eco-friendly product that has received the UL Greenguard Gold certification. UL Greenguard is a program which certifies the indoor air quality after it is tested by a globally trusted safety certification company, UL. The Greenguard certification is a very rigorous certification which can be given only when the safety is ensured. It applies strict standards to all products that may affect indoor air quality and tests 360 VOCs (volatile organic compounds), total chemical emissions, and more than 11,000 chemicals. 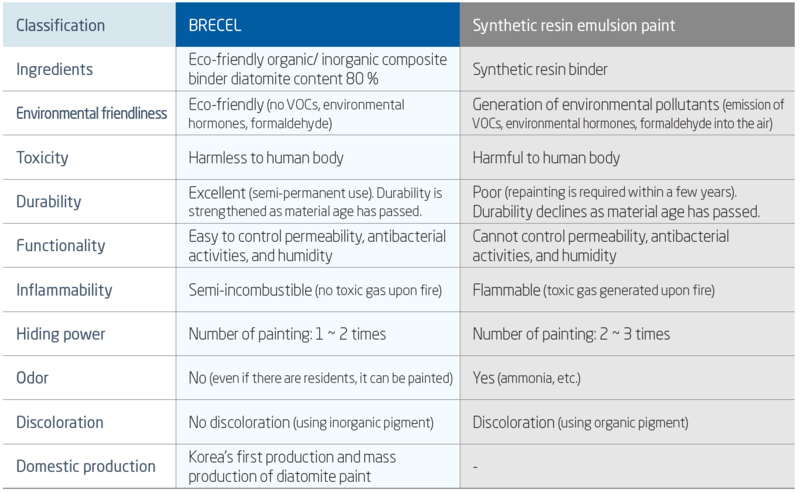 “BRECEL” is the Korea’s only paint product that meets all the requirements for gold certification which is the highest level of certification. The product with this certification can be used for the finishing and interior of public facilities with many children and elderly people such as school, hospital, senior center, kindergarten as well as home.